The iOS version requires an iOS device running iOS 9 or higher. The Mac version requires a Mac running macOS 10.9 or higher. LetterMiner is a word game. The game starts with a board of letter tiles and one tunnel tile, which is where you start mining. 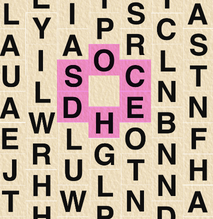 Find words to mine letters and dig paths to reach new areas of the game board. Score points for the letters you mine and the length of the words you find. Each board is procedurally generated so no two games of LetterMiner are exactly the same. There are two ways to play LetterMiner. See how high a score you can get on a single board. Or play a multiple level mode where you have to meet ever increasing quotas and deal with supply and demand for the letters you mine. Mine too much of a letter, and its value drops. Each board is procedurally generated so no two games of LetterMiner are exactly the same. Double-click the zip file to expand it. Drag the LetterMiner application to your Applications folder or wherever you want it to reside. Double-click the LetterMiner application to start playing. Click a letter tile that is adjacent to a tunnel tile to start making a word. The adjacent tiles are highlighted magenta. 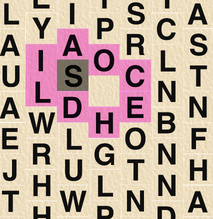 Click adjacent letter tiles to build a word. When you finish building your word, click the Submit button. If you start making a word and want to make a different word, click the Clear button. Clicking a tile that is adjacent to a tunnel tile but not adjacent to the tiles in the word you were building will also start a new word. Click the Menu button and click the New Game button to start a new game. Close the game window to quit. Each level starts with a board of letter tiles and one tunnel tile, which is where you start mining. 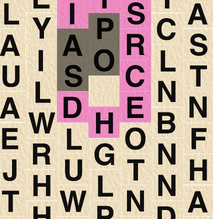 The tiles you can use to start a word are highlighted magenta. 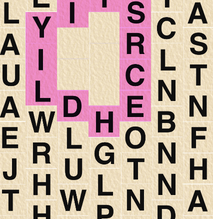 Click on one of the magenta tiles to start building a word. Submitting the word mines the letters and digs a tunnel from those letters. Build new words off the newly created tunnel tiles. At the start of the game you had 6 places to start building a word. After submitting the word SOAP you now have 11 places to start.